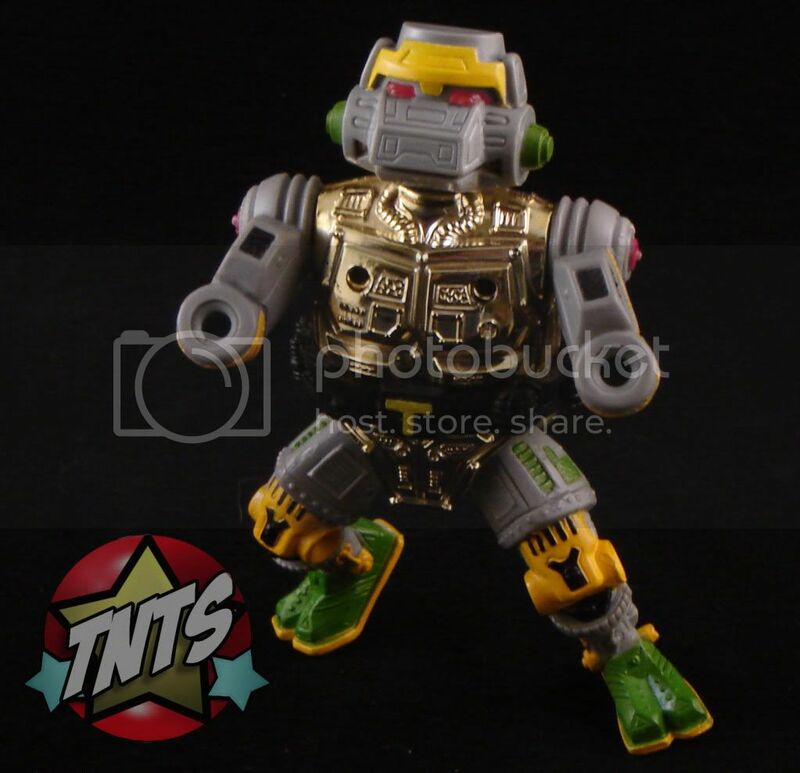 RADICAL RETRO TURTLE TOY TALK #8:THE 6 MILLION DOLLAR TURTLE! Happy New Year, dudes & dudettes! 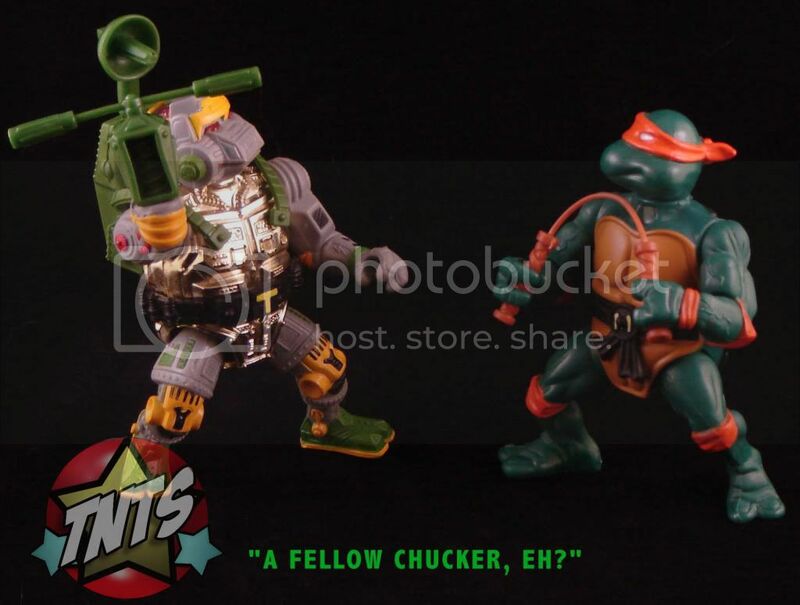 Glad to have you all back again for some more RADICAL RETRO TURTLE TOY TALK! Here’s hoping the final four figures from the 25th Anniversary Playmates line, not to mention everything else from NECA, finally hit the stores in year 26! This week’s figure is a pretty popular one among a lot of collectors. 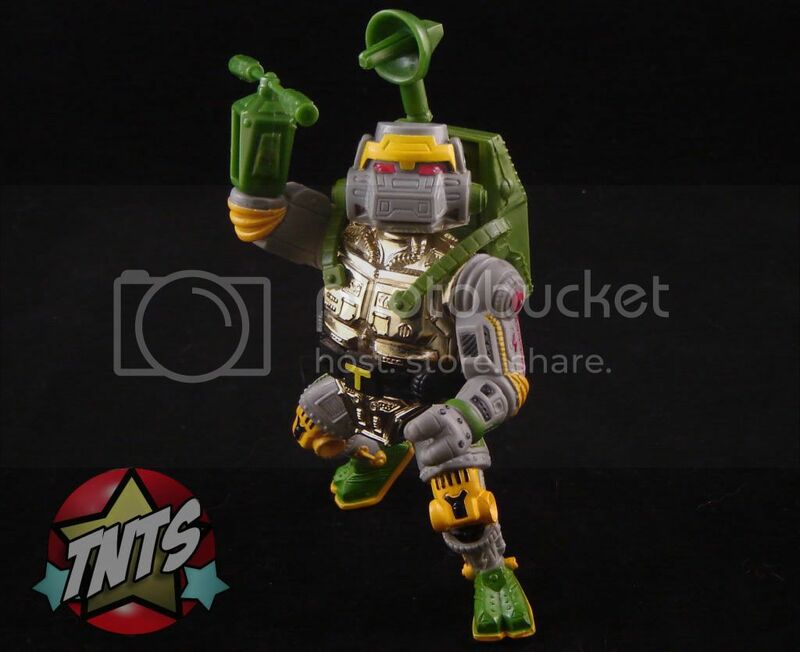 At the request of one of our Radical readers, let us now take a look at the crazy chromed Chelonian crony of the Green Teens called Metalhead! 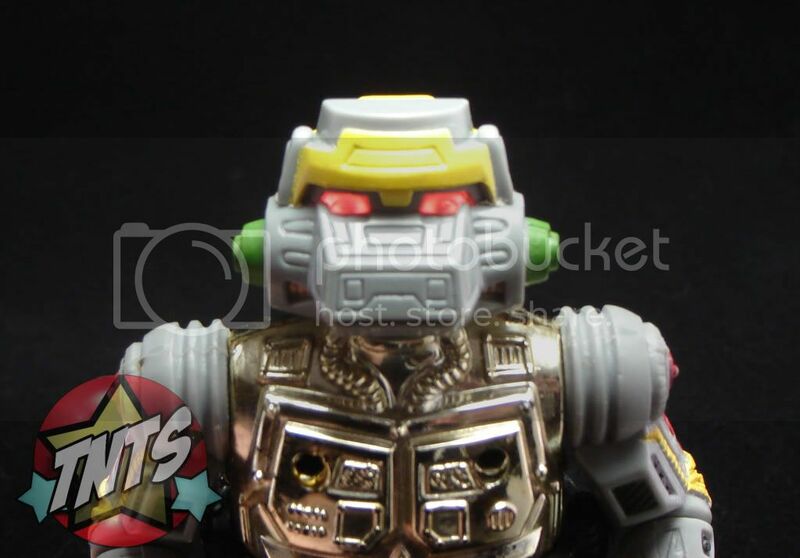 Metalhead’s first and only figure was released in 1989. 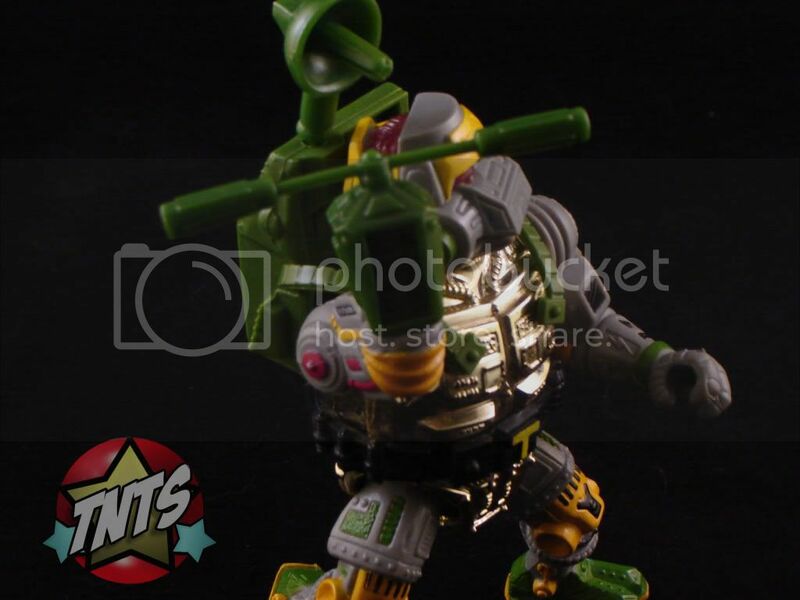 While there was a super hero character named ‘Metal Head’ in the original Mirage comic, this metallic martial artist showed up in the 1987 Teenage Mutant Ninja Turtles TV series, the Archie comic, and a time or two in various video games. 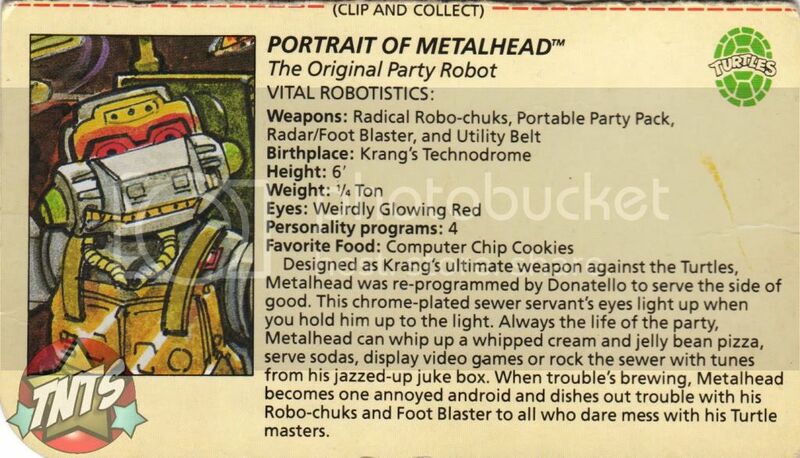 Born a baddie, Metalhead was created by Krang and programmed with the personalities of each member of the Fab Four. However, after some rigorous rewiring by Donatello, Metalhead eventually saw the light and took up with the Turtles. Metalhead comes with some pretty awesome accessories. 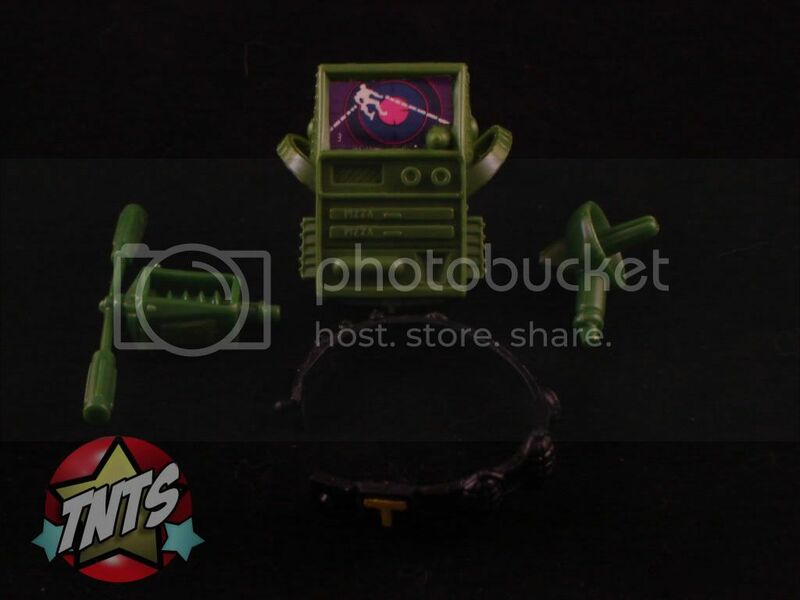 For starters, either of Metalhead’s two forearms can pop out of their sockets and be replaced with his Radical Robo-chuks. Although they look more like a helicopter propeller than an actual pair of nunchucks, the Robo-chuks still get the job done when faced with the Foot. Metalhead wears his Portable Party Pack via pegs, which hook into a hole in his back, and two more over his shoulders in his upper chest. The Portable Party Pack has a targeting screen for firing upon Foot Soldiers with the attachable Radar/Foot Blaster, all while keeping the pizzas totally toasty in the Pack’s oven. 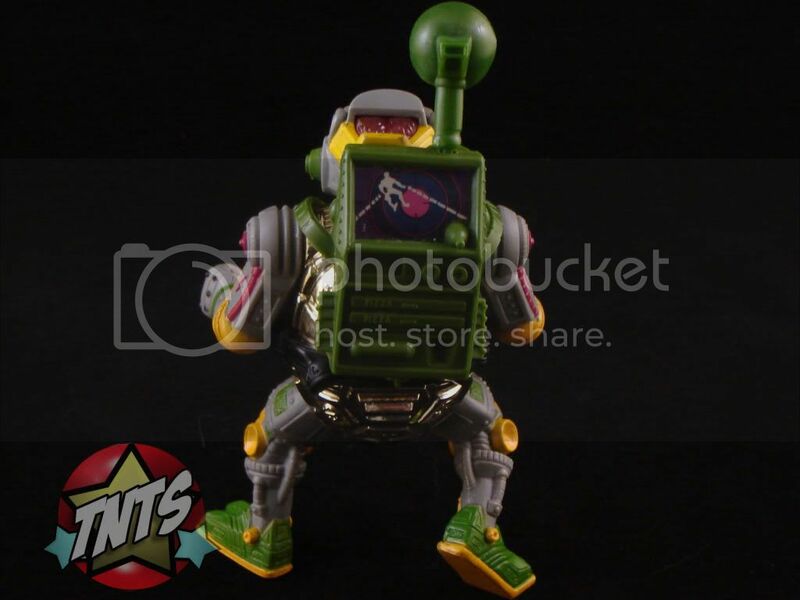 Lastly, fitting around his waist, is Metalhead’s Utility Belt with molded on grenades, oilcans, and spare fuses. On the buckle of the Utility Belt is a big letter ‘T,’ which at first seems kind of stupid. I mean, Metalhead starts with an ‘M,’ not a ‘T.’ After thinking about it a bit, though, the ‘T’ makes perfect sense. 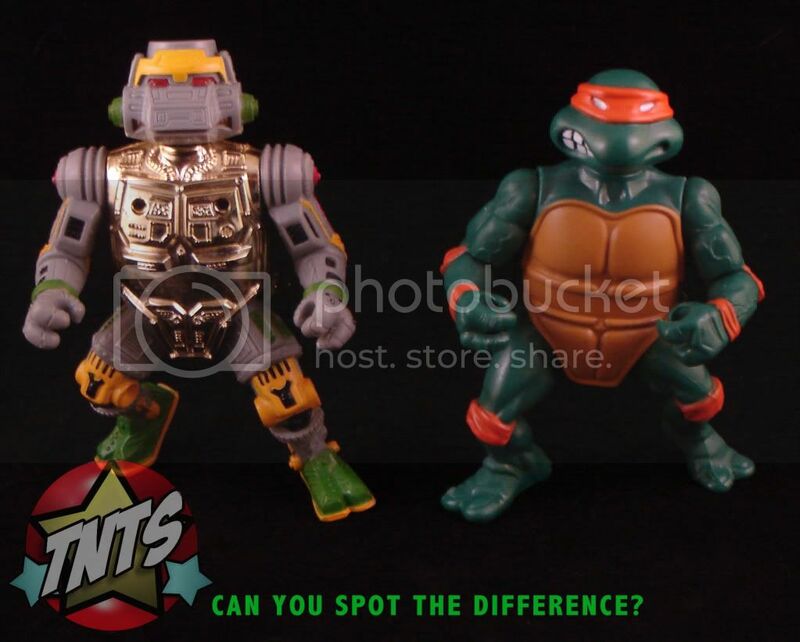 After all, if Metalhead had a letter ‘M’ on his belt buckle, how the heck would anyone be able to tell him apart from Michaelangelo? Hopefully, everybody had a good time getting acquainted with the awesome android amigo of the Teenage Mutant Ninja Turtles. Whether you’re a casual collector or a fervent fanatic, Metalhead is definitely a worthy addition to any Turtle toy shelf. 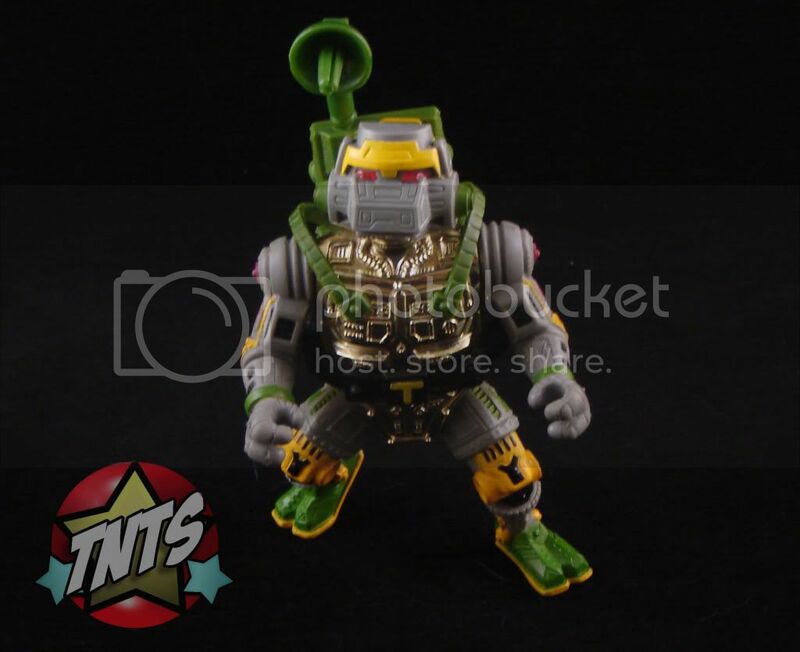 If there are any questions or comments for or about the titanium terrapin, feel free to sign up for the forums at ThatNewToySmell.com and let us know! Thanks for reading RADICAL RETRO TURTLE TOY TALK!, and we hope to see you again in seven!